With summer well and truly on its way, it’s time to get the family outside more. However, it can be difficult to keep the kids amused outside all day long. They soon get bored of playing football or water fights. 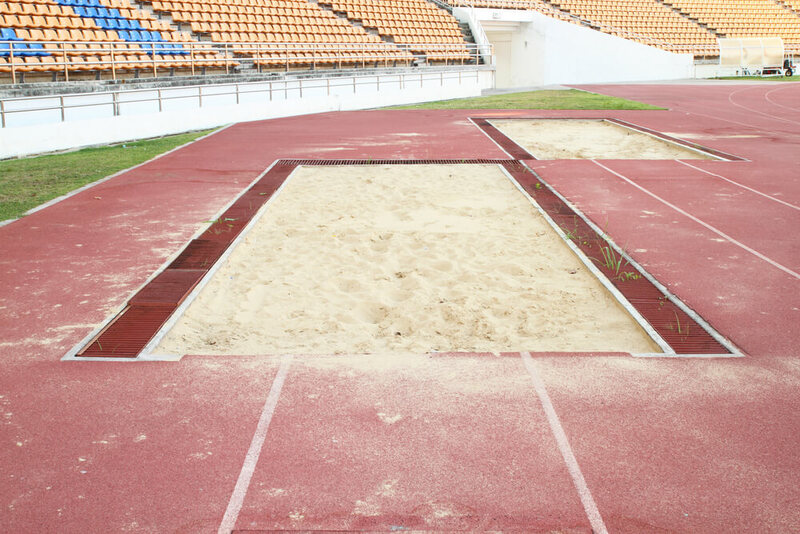 Similarly, practising summertime athletics, such as the long jump or triple jump with a sand pit at your school or college. Sandpits of any size are simple, affordable and easy to install. Here at Sansums, we not only have the knowledge and experience to advise you on how to build the best sandpit but can also provide you with high quality building materials for you to build it with. Contact Sansums today for more information on 01793 536784. Play sand is different to the regular sand that you’ll find at the beach or on a building site. It is different due to the number of treatments that it goes through before being bagged up and available for purchase and use in our gardens. Its original state is that of what you find on a beach or man made in a factory from crushed rocks. It then goes through numerous processes which include washing and water blasting too, firstly remove any residual iron oxide which can stain both clothes and skin. It then removes any sharp edges on the tiny sand particles and then any remaining contaminants or bacterias that remain. You can tell whether or not play sand is safe for use in your garden by the EN 1177:2008 certificate marked on the packaging. Here at Sansums, our play sand is of the highest quality and comes with the EN 1177:2008 certificate. 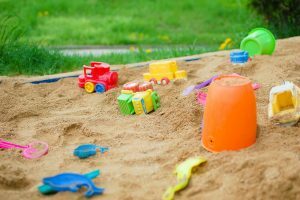 What is the difference between Play Sand and Builders Sand? Builder’s Sand – As a slightly less coarse sand, builders sand is perfect for using brickwork and smoothing floors. It is also free of any unwanted additives due to the fact that it has been processed. Sharp Sand – As a mixture of other materials, such as clay and iron, sharp sand can often have large pieces inside, which makes it perfect for building foundations, such as houses or driveways. Sansums have a huge amount of sharp sand available to be delivered straight to your property at a time that suits you. Click here to view our range. 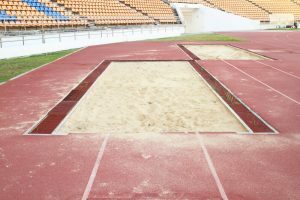 Play sand, unlike builders sand, is fine and soft so cannot hold a structure. This is due to the rigorous cleaning and blasting process that it has been through. It is also treated using special disinfectant and cleaning agents so that it is safe for children to play in with their sensitive skin and low intolerance to bacteria. 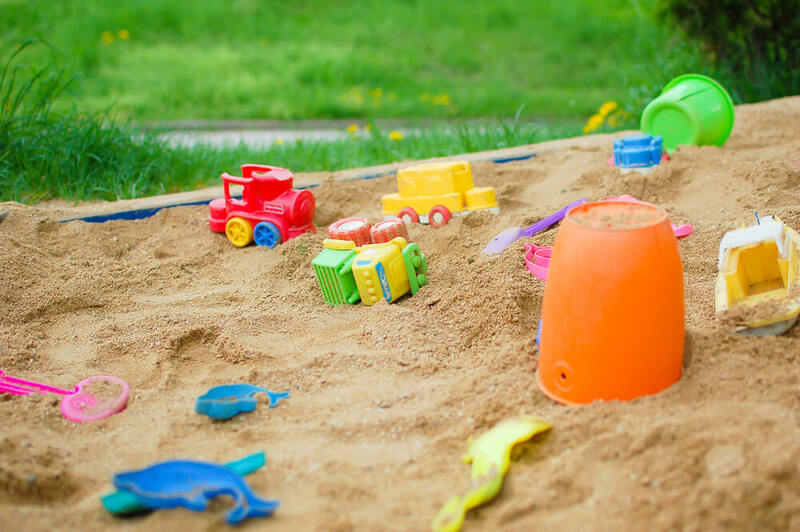 If you’re looking for a cheap and easy way to keep the kids entertained over the summer, then a sandpit is definitely worthwhile. What’s more is that Sansums are able to not only supply you with high quality and certified play sand at a great price but can also deliver it straight to your door too. This is perfect for domestic and commercial properties, such as schools or playgrounds. How many children will be using the sandpit at one time? What will the sand pit be used for? Will it have appropriate shade covering it to protect the children in the play sand area from the sun? Is the sandpit in a clear area, away from other play areas where larger children may be but still in eye view for parents/carers? Is it easy to access for toddlers and other people? For example, no trip hazards or steps? After answering these questions, you will be able to know where to put the sandpit and the required size for the sandpit. You can then begin designing the shape that you desire. We recommend using string and pegs, or even pebbles so that you can test the area to see it’s suitability, before making any permanent or irreversible decision. Once you have decided on an area for your sandpit to go in and outlined your desired shape and size, it’s time to start digging. Use a shovel to dig out the soil or area. We recommend digging to a depth of around 5-10cm, but you can go deeper if required. Similarly, you can create deeper sections to create a more varied playing area. Now that you have dug out your area, you can line it. We recommend using a highly durable and secure landscape fabric as this will prevent any weeds from growing and penetrating your play sand pit. Cut a larger piece than your area (around 20cm extra), if the area is too wide, you can cut multiple pieces and overlap them. For best results, it is best practice for the overlay to be more than 10cm. If you’ve chosen to have a surrounding for your sand pit, this is the best time for you to add this in. You can purchase edgings from Sansums in a variety of colours, styles and materials. Contact us today to learn more about our high-quality edgings on 01793 536784. The play sand area can now be filled with your chosen play sand. Sansums team can deliver your ordered play sand and put it as close as possible to your sandpit to lower the amount of fetching and carrying that you must do. Use a shovel to place the sand evenly across your sandpit area. You can now put the finishing touches to your sand pit. This includes putting stones around the edge to cover over and secure the landscaping material down. Use scissors to cut off any large excess pieces of landscaping sheet. You can also use mulch around the rocks to again, cover over the landscaping sheet. Add a couple of buckets and spades, and your play sand pit is ready for months of enjoyment! If you’re looking for a quick, temporary alternative for a play sand pit in your garden, you can also choose a raised bed kit or planting box. These generally come in wood but are also available in plastic. Some types may also require lining on the interior with landscaping sheet to prevent weeds from penetrating the area. Cover it when not in use – Use a sheet of tarpaulin secured with rocks or heavy items. This is to stop any rain from dampening the sand and creating puddles, or even washing the sand away! Similarly, it will prevent animals from accessing the play sand and soiling it. Regularly rake the sand – This will stir the sand to air it. It will also pull up any toys or sticks that have been buried below the surface. Wash with tap water – Use a watering can to sprinkle a mixture of water and household disinfectant over the surface and then use a rake to move the water around to wash the sand and disinfect it. 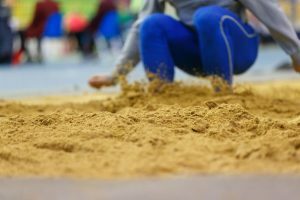 Replace the sand – After a couple of months or after the long winter, it is advisable that you replace the sand inside your sand pit. This can be done by shovelling the old sand into bags and washing the base and the landscaping sheet with a mixture of disinfectant and water. Once this has dried out, you can place your new sand into the sand pit area and enjoy the play area once again. Here at Sansums, we stock a huge variety of different building supplies, suitable for any size project at your home or business property. We only choose and stock the best materials so that you can guarantee quality when choosing to shop with us. Our team of trained experts are available on the phone to talk you through the materials that you need to complete your project to the highest standard. Our wide range of stock includes close board fence panels, patio slabs, building aggregates such as sharp sand and play sand, and much more. We can even deliver your materials for you straight to your front door; no matter the amount you order so you have one less thing to worry about. If you’re interested in improving your garden or taking on a new building project, call our team on 01793 536784 today and they will talk you through the materials that you will need.